Home Augmented Reality, Virtual Reality Virtual Reality in Education – Where Are We and What’s Next? Virtual Reality in Education – Where Are We and What’s Next? 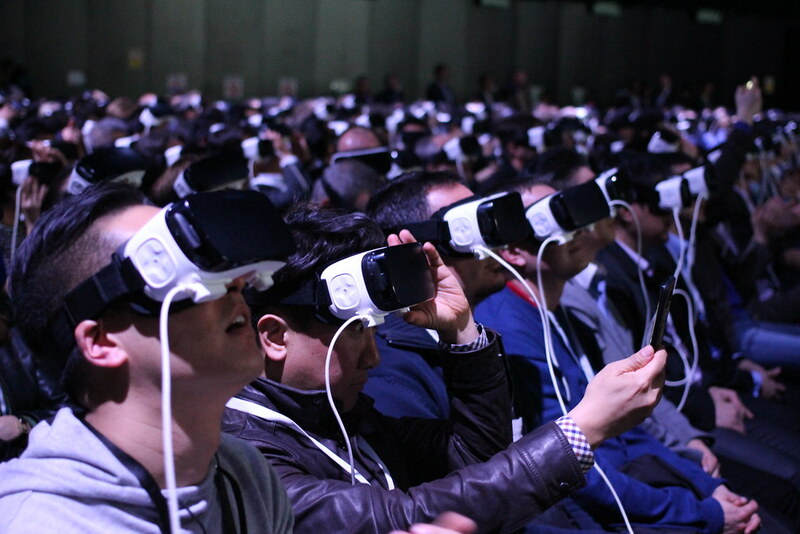 Not long ago, virtual reality was limited to science fiction. Then it became a stable of video games. Now virtual reality is moving into our daily lives. Recently the domain of the entertainment industry, virtual reality (VR) and augmented reality (AR) vendors now serve multiple markets, including education. The VR market is expected to grow into a $15.9 billion industry by 2019. Educational technology (EdTech) start-ups are already selling VR material designed for the education market. More programs are on the horizon as investors see opportunities at every level of education from kindergarten through medical school. The international market for education technology is estimated to reach $252 billion by 2020. Virtual reality will make up a good portion of the EdTech market. Much of the VR and AR technology is still in the early stages in the EdTech market, but we can already see a glimpse of what is coming. Nearpod offers teachers a wide choice of interactive lessons. Google Expeditions lets kids take virtual field trips to the International Space Station or Machu Picchu. After the virtual journey, the class can build models using one of the applications on zSpace. VR offers teachers new options for expanding their student’s education into 21st-century skills. A team of experts built Google’s Expeditions Pioneer Program to demonstrate some of the possibilities of VR in education. Using smartphones, netbooks, and Google Cardboard VR viewers, students take expeditions to places that would be otherwise financially and logistically impossible to visit. Imagine the complexities of taking a class of second-graders across international borders to float down the Amazon for a day. Now compare that to giving each student a headset and logging onto a computer system. The impossible is now possible with $15 Google Cardboard VR viewers and applications that run on smartphones. Travels by VR let teachers bring their subject matter to life so that children can be fully engaged in new places and cultures. The first-hand experience combined with a teacher’s guidance leads to deep understanding. Students can participate in field trips with other kids around the world without geographic and language barriers. These virtual skills will be valuable as they transition into the business community. VR technology also gives students a chance to try-on different career options with little risk or cost. A future doctor can participate in a virtual surgical procedure. VR brings imagination to life. Google’s Expeditions Pioneer is still in its infancy. 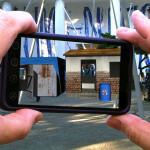 Presently, interactions with the virtual environments are limited, but the technology is advancing quickly. Nearpod allows instructors to design lessons around student interaction. The Nearpod VR application allows teachers to incorporate VR into their lesson plans using interactive multimedia. 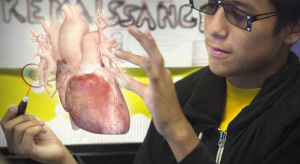 Teaching materials range from digital citizen ship to journeys inside the human body. 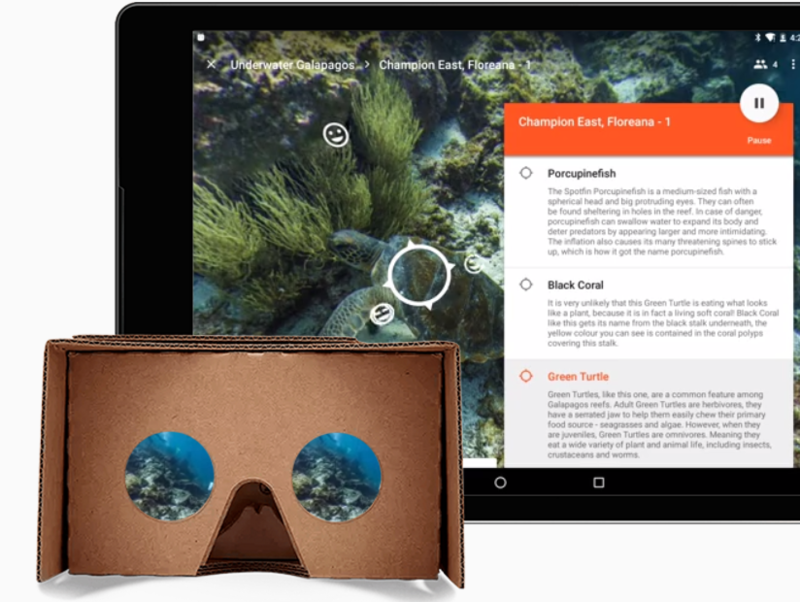 Like Google Expeditions, Nearpod requires students to wear VR headsets as they swim under the Great Coral Reef or watch a battle from World War One. Nearpod is building a community of educators and content creators to make lessons available in every subject. zSpace uses VR and AR technology to create interactive exploration activities and experiential learning experiences. Students learn to ask questions, take risks, and solve problems using the interactive zSpace 200 screen. Students can also, for example, dissect frogs using a stylus while wearing VR glasses that contain sensors. Like Nearpod, zSpace is building a community of teachers who share VR lessons. Virtual reality offers teachers the option to immerse students in learning more than ever before, but there are challenges. The biggest problem is finding room in an already tight budget. Building a VR lab using high-end technology like Oculus and HTC Vive costs thousands of dollars. 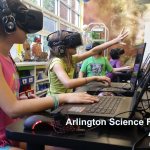 The few public schools that have VR labs are dependent on grants for funding. However, as more competitors like Google and zSpace enter the VR education market, prices are decreasing. The combination of subsidies and lower entry prices will allow under-funded schools opportunities to incorporate VR technology. Even though technologies like Google Field Expeditions and Nearpod offer low-cost headsets, they still require reliable and high-speed Internet connectivity. Watching gladiators fight in the Roman Coliseum or climbing Mt. Everest requires Internet bandwidth beyond the current infrastructure of most US schools. Upgrading the existing infrastructure requires expensive hardware and expert support that will test a school district's budget. Eligible school districts can apply to the E-rate program administered by the FCC for discounted Internet services. Depending on the location and community, eligible schools may qualify for up to a 90 percent discount. However, the federal budget caps the e-rate program funding at $3.9 billion. Teachers often see VR technology as an entertaining supplement to teaching, but fail to see much educational value. They need to see metrics that prove the value of VR in their subject specialty to change this view. VR is an entirely new way of teaching. Teachers without training will feel intimidated by the technology and overwhelmed by the possibilities. The experience is similar to the entry of computers into schools in the late 1980s. A few teachers jumped into the new computer labs, but most ignored the technology for years. Over time, computer and software vendors convinced educators to incorporate computers into lesson plans. Similarly, VR will take some time to become integrated into the classroom. 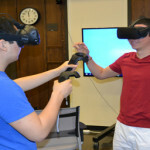 Students love the simulations offered by VR technology, but it ‘s hard to connect something fun with measurable educational value. Used wisely, VR will lead to more competent and confident students. VR technology has the capability to make complex data accessible, enjoyable, and easy to learn. To do so, VR tools need to be integrated with well-designed lesson plans. VR enhances the physical classroom, but it does not replace the importance of sound pedagogy. When asked about lessons learned, the Google Expeditions team answered that it was challenging to look beyond the initial awe and wonder of the immersive environments. Like the first television viewers, it is easy to be overwhelmed by the wow-factor of a new visual world. But once educators get beyond this point, they can start to see how the new technology can be applied to old educational problems. Students can learn by doing in ways that were impossible before VR technology became available. How will this value be measured? The metrics do not exist yet but finding the right metrics is one of the most challenging problems ahead for VR vendors. Virtual reality can improve education in ways that we can’t even imagine yet. Google Expeditions calls for embracing a multi-disciplinary approach that incorporates experts from all academic backgrounds. Right now, only 5 percent of classrooms use VR technology, but 20 percent of education administrators list VR as a priority in 2017. Researchers and game designers have brought VR a long way. Now educators can pick up the technology and use it to change the way K-12 schools work. Josh McAllister is a freelance tech writer based in New York. In his free time, he enjoys all things geeky and gadgetry, the outdoors, and spending time with his family. You can reach him on Twitter @josh8mcallister. The future of education is connected with both online platforms and virtual reality – this is the next step in the development of educational content. The first developments involving virtual reality in education appeared in 1990-2000. Virtual reality is quite seriously used in such areas as business education, where it plays two roles. The first is an imitation of the usual educational process – lectures, practical exercises. The second is the coordination and simulation of certain actions. The fact that last year half a billion dollars was spent on the development of virtual reality shows that this area has taken quite serious positions.